State Representative Dan Brady (Bloomington – 105thDistrict) will visit Ridgeview Elementary as Super Hero of the Month for February. The visit is scheduled for Monday, February 23, from 10:45am-12:30pm. Dr. Cathy Weber is the Principal of Ridgeview Elementary School at 300 South Harrison Street in Colfax. She invited Representative Brady to participate in this year’s “superhero” themed visits. “There is one thing everyone admires about State Representative Dan Brady. He is friendly to everyone, both young and old. That’s truly a superhero characteristic,” say Dr. Weber. Representative Brady will join the children for an assembly and stay through the lunch hour. Ridgeview Community School District #19 is a unique, rural school district with multiple grades in one building. 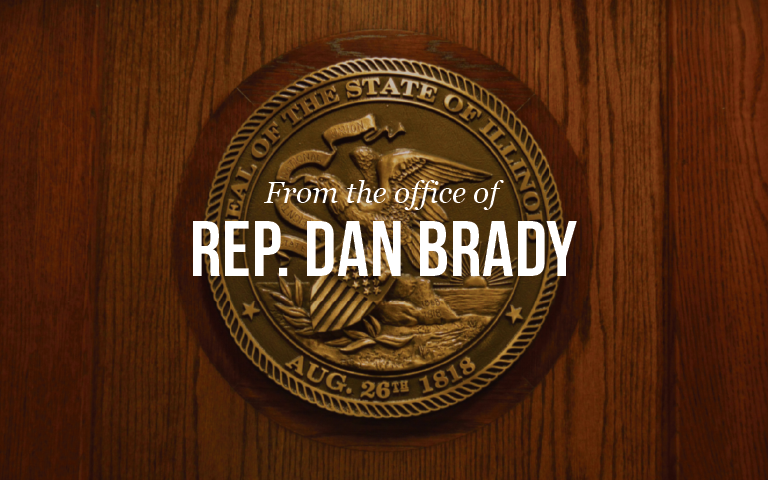 While Representative Brady is visiting primarily elementary school children, he will also be interacting with all ages up through high school.